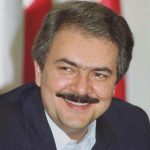 Massoud Rajavi, the historical leader of the Mojahedin-e Khalq (MEK / PMOI) has had a major role in forming the opposition against the religious dictatorship ruling in Iran. Ever since his release from the Shah’s prisons, he started a massive campaign of education to draw a line between the real tolerant and democratic view on Islam versus the fanatic, and extremist interpretations by the reactionary religious elite that gained the leadership of the 1979 revolution, led by the then Supreme Leader Ruhollah Khomeini, who later issued a decree to kill all the supporters and activists of the MEK for that reason. 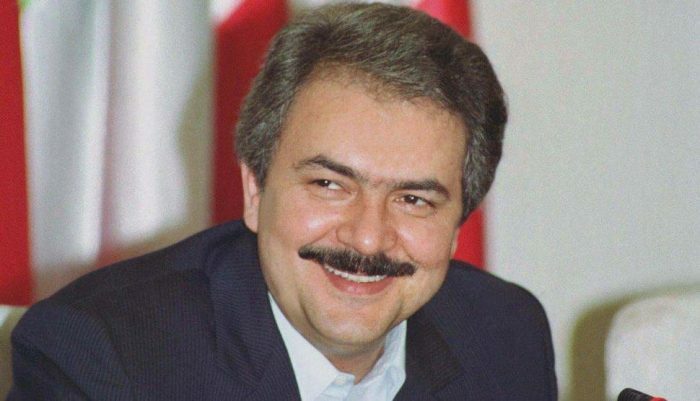 Massoud Rajavi has been known as the key strategist and leader of the MEK and one of the most popular politicians in Iran’s contemporary history for his dedication to freedom, democracy and standing by the progressive and humanitarian morals the Iranian nation are known for. 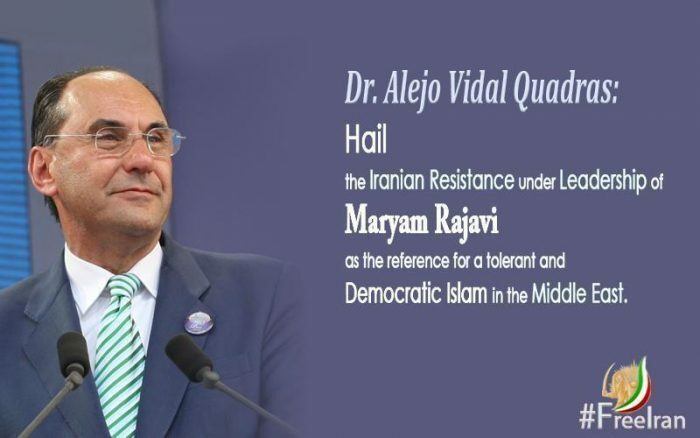 Below you will find several of many existing quotes by famous politicians that have known Rajavi or have worked with him during the past few decades. One of the things that impressed me most was the letters exchanged between Kazem (Rajavi) and Massoud (Rajavi) which I happened to receive every once in a while. In reading these letters, one could feel an enormous sense of respect on the part of Kazem for his brother but also a sense of deep love. And a mutual sense of trust that would immediately come to fore. It was all too obvious that there was something far beyond political solidarity and cooperation at work between the two brothers. There was deep affection between the two, brotherhood and mutual understanding without saying a word. And seeing the two together was much too beautiful. It was the image of genuine fraternity. And I think that Massoud gave a lot of energy to Kazem in his struggle. Today, Massoud remains without Kazem but I am sure that Kazem’s memory is a source of energy not only for us, the ordinary combatants but also for Massoud. Ché Guevara used to say that martyred revolutionaries never die because they are like stars that will continue to shine on to us for centuries after they die. 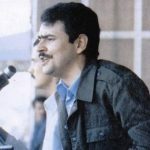 Massoud Rajavi was the last political prisoner released from Shah’s jails before the fall of the monarchical regime. 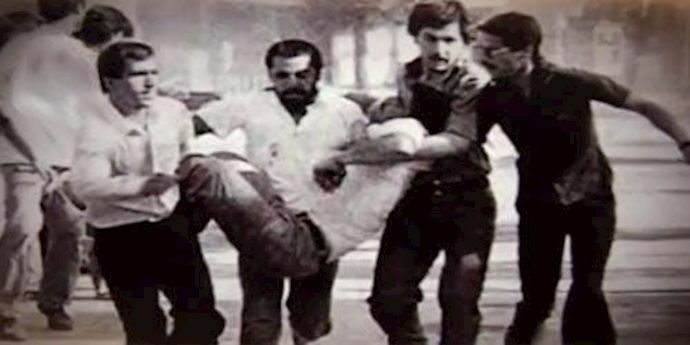 Let us remember that he was twice sentenced to death and Khomeini always considered him to be the regime’s No. 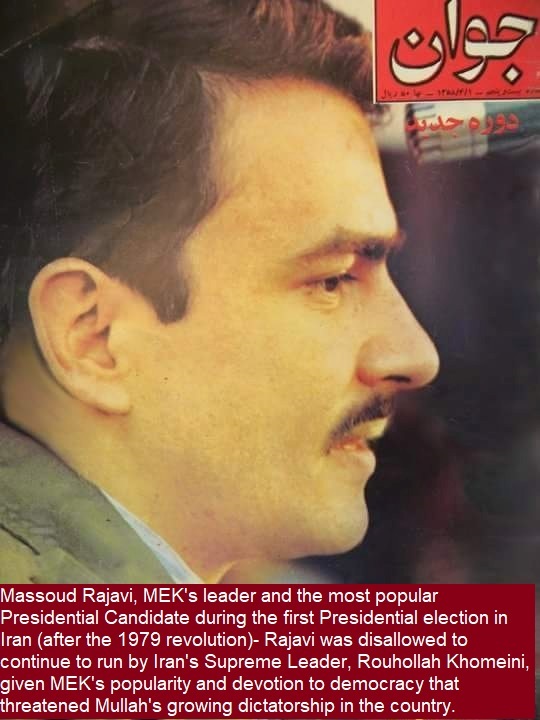 1 enemy because Massoud Rajavi was the only one who confronted the mullahs’ religious dictatorship by calling for a democratic revolution. And the death squads are still after him. Today, Massoud Rajavi’s messages continue to inspire freedom-fighters and freedom lovers in Iran and works as their driving force. Those who embrace a tolerant pluralistic democratic vision for the society must take the lead. 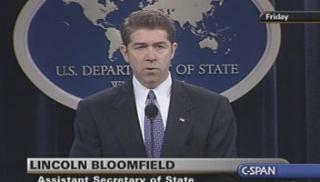 That was a conviction deeply rooted in Massoud Rajavi’s political and moral teachings. 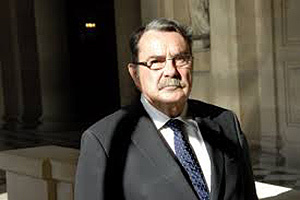 Already in 1983, in a period of extreme violence for the Iranian theocratic revolution and repression against all political opponents, Massoud Rajavi described Islam with these prophetic words: A particular characteristic of Islam we believe in is its democratic nature. This Islam recognizes the rights of other religions, opinions, and schools of thought. You are the beacon of a resistance which never gets tired and that does not need to rely on foreign powers. 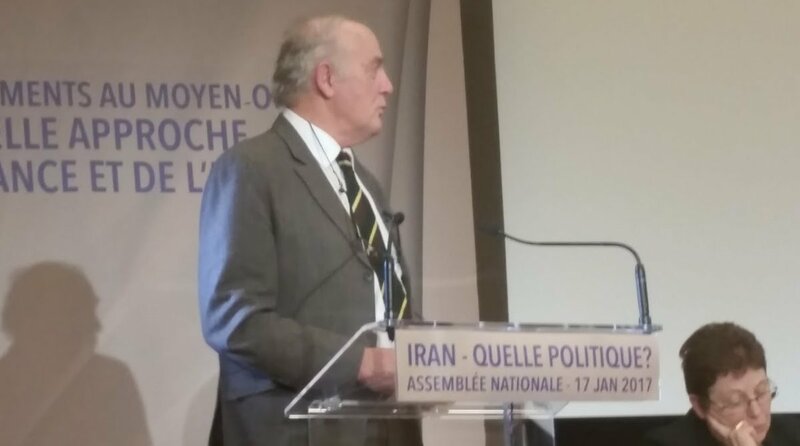 I commend President Rajavi for her leadership and also wish to salute the historical leader of the Iranian Resistance, Massoud Rajavi. I hope to meet him very soon in a free Iran. Massoud and his brave followers have become symbols of perseverance and hope in these dark times of moral relativism and dirty pragmatism. In 1984, thirty years ago in days like this, we came to this place. 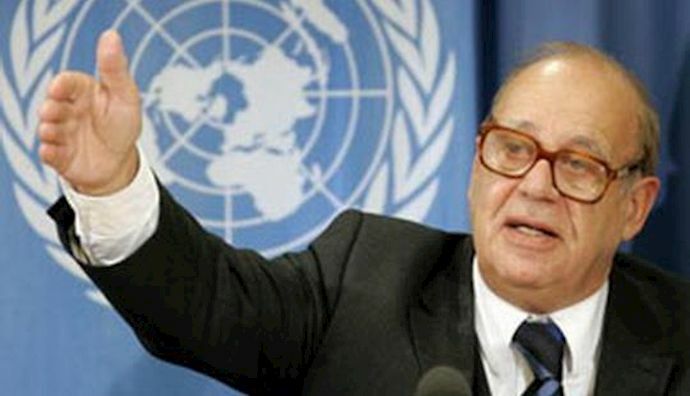 There were three or four of us Syrians and the oldest among us was national leader Akram Hourani. 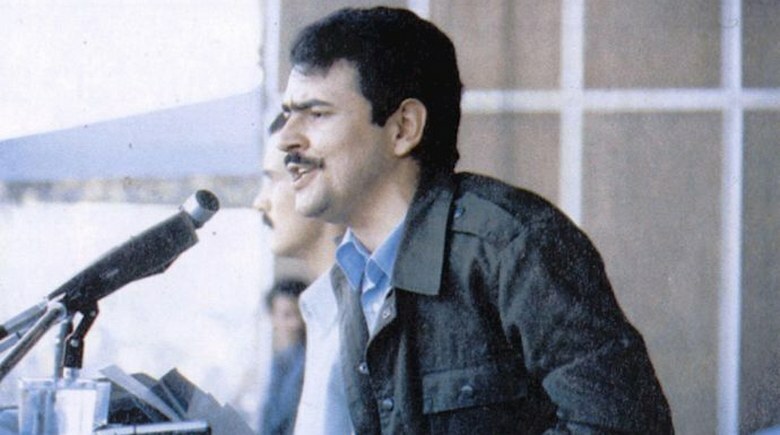 In front of us was the Iranian national leader, the lion of Iran, Massoud Rajavi. A number of other members of the leadership were by his side. We had a meeting lasting for 2 or 3 hours and we issued a joint statement. The world will see that the Mojahedin are like a firm mountain that is not shaken by the storms of oppressors of history. Massoud Rajavi’s school of thought is against religious and racist regimes and has drawn a red line with these two issues. 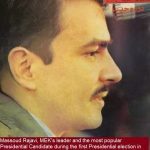 I would like to remind the 1980 article by Le Monde which said if Massoud Rajavi’s candidacy had not been stopped (by Khomeini’s fatwa), he would have won millions of votes and Iran would have seen a different destiny. This is a clear answer to all those who questioned the support your movement and resistance enjoy in Iran. 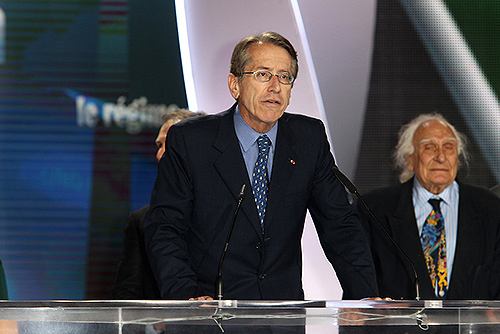 Le Monde said that Massoud Rajavi had he been allowed to run instead of having a secret fatwa calling for his death would have gained millions of votes including the support of all of the ethnic minorities, women and religious minorities as well.